Stream Audio "Hord Case Study"
Stream Audio "Lawn Maintenance Contractor Is Fed Up with High Gas Prices"
Stream Audio "Attention...New Strategy Wins 7 Figure Contracts"
Stream Audio "Disrupting Lawn Maintenance"
CHARLOTTE, N.C. – Greenworks Commercial, global leaders in battery-powered outdoor equipment, and Super Lawn Technologies are combining their expertise in green technologies to offer landscape professionals “on-the-go” battery charging capabilities for their outdoor power equipment from any location throughout the workday. This collaboration features Super Lawn Technologies’ innovative new “Solar Lawn Truck,” a vehicle lined with solar panels to channel solar energy into power, and Greenworks Commercial’s award-winning 82V Lithium-ion battery-powered tools to offer landscape professionals commercial grade performance, noise reduction, and the elimination of odors and emissions to maximize efficiency and performance during the work day. This joint-venture kicks off with a Beta Testing opportunity for some of the nation’s most forward- thinking professional landscape crews, who can exchange their gas-powered energy consumption for more environmentally-friendly lithium-ion and solar powered advancements. Super Lawn Technologies is inviting professional landscapers with a 2-3 person crew, and 3 years of business experience to apply to become testers of the new Solar Lawn Truck and Greenworks Commercial’s 82V tool system. To apply visit www.solarlawntruck.com. 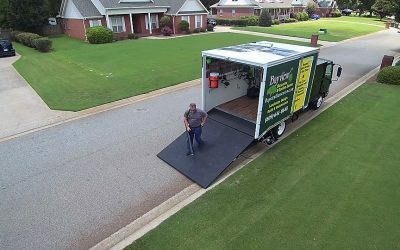 Landscapers who are accepted into Super Lawn Technologies’ Solar Lawn Truck Beta Testing program, and decide to buy or lease the Solar Lawn Truck, will be provided with $6,000 worth of Greenworks Commercial’s 82V tools, including: 8 2.5 Ah Batteries, 1 9Ah battery, 2 backpack blowers, 2 string trimmers, 1 pole saw, 1 chainsaw, 1 hedge trimmer, 1 stick edger and 1 handheld blower. For more information on Greenworks Commercial’s best-in-class, battery-powered outdoor equipment, visit https://greenworkscommercial.com. 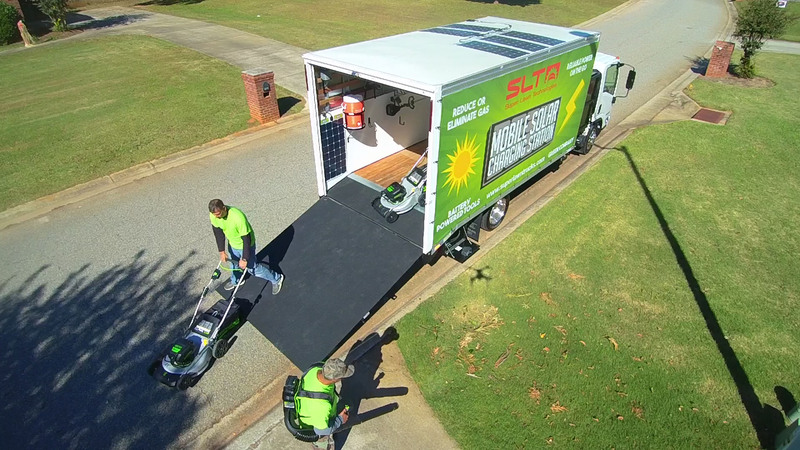 To learn more about Super Lawn Technologies’ innovative solar-powered trucks visit https://www.solarlawntruck.com/. Greenworks Commercial is the leader in battery-powered outdoor equipment for landscaping, turf management and golf maintenance professionals. The company offers a best-in-class 82-volt Greenworks Commercial system for professionals, and a smart, Bluetooth-enabled, 40-volt Greenworks Elite system for DIY consumers, delivering the power and performance of comparable gas-powered tools without the mess, fumes and noise. For more information, find us on the web at http://greenworkscommercial.com/. Super Lawn Technologies, in collaboration with Georgia Institute of Technology, has created a line of commercial products that have revolutionized the efficiency and fuel reliance for professional landscapers nation-wide. 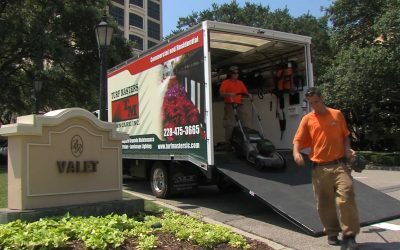 Founded by Tony Bass, Super Lawn Technologies continues to be the leader in commercial work trucks designed for the professional lawn and landscape contractor. For more information visit https://www.solarlawntruck.com/.